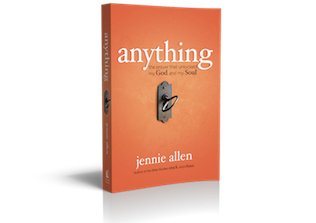 Recently I was approached by Shelton Interactive to do a review for Anything: the prayer that unlocked my God and my Soul by Jennie Allen. This is not a paid review, but my opinions on this book. This book is a journey with Jennie through her life the last couple years. It starts giving her background of a good Christian girl and comfortable pastor’s wife. Her life gets turned around after coming in contact with a blog by Ugandan missionary, Katie Davis. Katie Davis was also the all-American girl, but she ended up dying to all the normal American dreams to serve Jesus in Africa. As Jennie read Katie’s blog, areas of her heart came alive and reawakened desires to give it all to Jesus. While this book is mainly Jennie’s journey, her husband Zac was also being lead by God to the same abandonment. 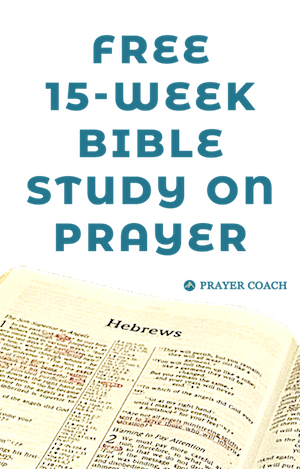 Together they prayed a simple prayer, “God we will do anything.” This book walks through the consequences of that prayer, through the many things that gave up and the extraordinary things they gained. God is incredibly in love with us, but the things our hearts desire keep us from fully giving ourselves to Him. We say that God loves us, but we believe that we love ourselves more than He does. We live our lives as if we know what would make us happy. Jennie’s journey shows her giving up things she thought would make her happy and moving toward things that scared her. But in the end what she found was that the things God was calling her to were things that made her come alive. The process developed deeper trust in God and a greater awareness of who He is for her. This wonderful journey was only expanded as you see how the people who encountered Jennie during this time also dove headfirst into their God. Just as Katie’s obedience stoked the fire in Jennie, Jennie’s obedience ignited those around her. Anything by Jennie Allen is a good motivational book to lead you to new levels of trust in God. Jennie’s stories weave in and out highlighting what God taught her through this journey. If you have been in a dry season with God, this book would reawaken your first love. This sounds like a great book. Trusting God is such an important area when it comes to being a Christian. Thanks for reading and review the book. Thank you for your encouragement, Dan. It was a nice read. Just finished reading Anything by Jennie Allen. WOW! I only THOUGHT I was living for The Lord before reading this book. I’ve already taken steps to a much deeper surrender of my will to God’s will. I think about relationships, service, work, and material “stuff” so differently now. I can’t wait to see how God is going to use me and, yes, like Jennie, I’m both scared and excited. I’m about to check out her website whatisyouranything.com. EVERYONE should read this book and start living! Thank you for your comment. I’m glad you found Jennie’s book so helpful. It is definitely a call to go deeper with God and experience even more of His goodness for you.